For travelers and adventurers. 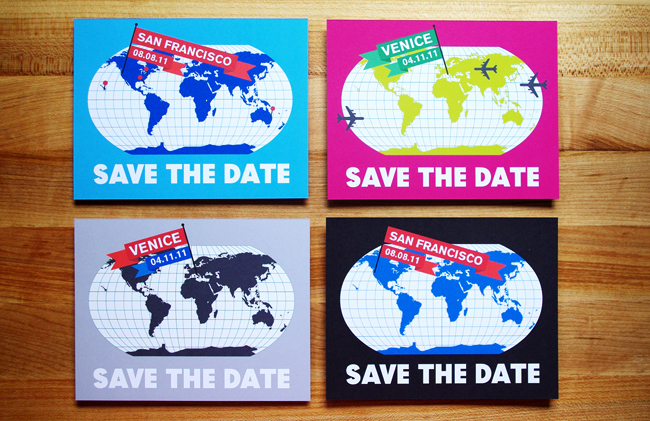 Available in the colors and fonts of your choice, the card maps out the location and date of your big day. Each set includes a flat or folded card and an A2 envelope.